The Kavango Zambezi Transfrontier Conservation Area (KAZA TFCA) measures approximately 519,000 km2 spanning five southern African countries: Angola, Botswana, Namibia, Zambia and Zimbabwe. The objectives of KAZA are to protect ecosystems and reduce extinction risk, and to increase economic opportunities through expansion of the wildlife economy. The KAZA region is renowned for its assemblage of large mammal species (at least 195 species have been recorded), including the charismatic African elephant, Buffalo, Giraffe, Lion, and both Black and White Rhinos. Despite this rich and diverse wildlife, there is still a lack of knowledge of wildlife species that still exist in some parts of the KAZA area, especially in Angola. 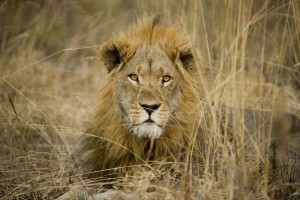 The lion is the most iconic carnivore in Africa but its populations are dwindling fast. Illegal and legal killing, and habitat loss and fragmentation have caused more than a 40% decrease in lion numbers over the past 20 years. However, lions are key indicators of the health of ecosystems, and are of major value for successful ecotourism in the region. This project is to ensure that they remain an integral component of KAZA. Wild population: 20,000, in steep decline. Captive population: Not quantified, but substantial. In Angola, to assess the status of lions, other large carnivores and key mega-herbivores, while also documenting all human activities that may have adverse effects on the occurrence of these species. By determining the status of lions and other key species in the Angolan section of KAZA, and the patterns of human activities and impacts, to provide wildlife managers with a good understanding of distribution, population size and major threats to lions and their prey species, as the basis for long term socio-economic planning compatible with biodiversity conservation. To determine the current distribution of lions, leopards, cheetahs, African wild dogs, hyaenas and other species, and estimate their respective population sizes, the project experts are counting identifiable footprints and other tracks along transects. This is being done in a cost- and time-effective way using a vehicle. Previous studies have identified a strong linear relationship between large carnivore population densities and the frequency of tracks along transects. 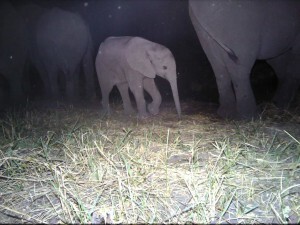 Camera traps are also being used to inventory wildlife, targeting areas with concentrations of wildlife, such as saltpans, saltlicks, and key rivers, which are mapped in the process. Movements of lions will also be monitored by attaching satellite transmitters to some key individuals.